When you think of dieting, you can't help but think about denying yourself. Denying food, denying menu variety and denying that you want more. Now there is a diet that lets you eat nearly limitless quantities of a broad variety of foods. the Mayo Clinic Healthy Weight Pyramid, menu planning is easy because of the breadth of foods available. As you can see, fruits and vegetables are the foundation. Complex carbohydrates and proteins are also well represented. The only area where you may feel some constraint is with fats and sweets. The diet emphasizes heart-friendly fats, from nuts, avocados, and the like. The diet even has a daily provision for sweets, with 75 calories every day set aside for those splurges that keep life worth living. Don't eat processed sugar. Only consume sugar that is naturally found in fruits. Only snack on fruits and vegetables. No chips or cookies. Don't eat and watch television at the same time. In fact, limit your TV time to equal your exercise time. Limit your meat and dairy intake, even low-fat dairy. With the focus on fruits, vegetables, whole-wheat bread, oatmeal, low-fat dairy products, lean proteins, nuts and seeds, olive oil, this is a diet that can easily become a long-term lifestyle. It might be just right for you. Carbohydrates may seem like the kryptonite to your diet’s Superman, but there is a place for carbs in everyone’s daily meal plan. The kind of carbohydrates that you choose can make a huge difference to the success of your diet. Here are some things to think about before you open the refrigerator door. Carbohydrates are found in many of your everyday food choices: fruits, vegetables, milk, nuts, grain, seeds and legumes (alfalfa, clover, peas, beans, lentils, carob and soy). There are three type of carbs: sugars, starches and fiber. The carb type lets you know how your body will digest the food. Sugars are also called simple carbs because they are not combined with other molecules and as a result are digested very quickly and easily by your body. Starches are groupings of sugars bound together, and are found in foods such as vegetables, grains, beans and peas. Fibers are also bundles of sugar molecules bound together, and are the slowest to be digested by your body. Many diets call themselves “low carb” or “no carb” or “carb counting” because of their focus on limiting the carbohydrates consumed daily. Other diets talk about knowing the glycemic index of your foods. That term measures the reaction of your blood sugar to what you eat. In general terms, simple carbs have a higher glycemic index than complex carbs (starches and fibers), because your body readily digests simple carbs and requires your pancreas to secrete insulin very quickly to maintain a stable blood glucose level. Further, some complex carbs have a relatively high glycemic index ranking, such as potatoes and corn and are avoided by this type of diet. Are carbs necessarily bad? Absolutely not! 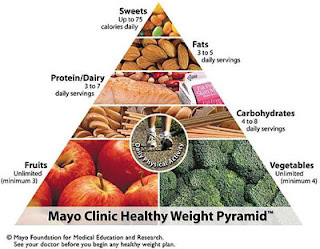 The 2010 Dietary Guidelines for Americans state that carbohydrates should be 45 to 65 percent of your daily calories. That means if you consume 2,000 calories a day, 900 and 1,300 calories should be from carbohydrates. That’s between 225 and 325 grams of carbohydrates in your daily diet. So, read your labels in the supermarket! Packaged foods all list their carbohydrate content for your reading pleasure. Carbohydrates are important for good health, since they are your body’s main source of energy. The key to success is choosing your carbohydrates wisely. Try to feature high fiber fruits and vegetables. The fiber helps you to feel full before you’ve eaten too much, and the slower digestion rate helps your body to match your digestion to your energy needs. That means that you’re less likely to form fat cells. Include some whole grains so that you benefit from the selenium, potassium and magnesium that they contain. Limit your consumption of high fat dairy. There are plenty of low-fat and no-fat alternatives that taste great and reduce the saturated fat that can elevate your cholesterol level. And do stay away from simple carbs (sugars) to the degree possible. This will reduce fat production and tooth decay, a double treat! So look past the buzz words and catch phrases when evaluating diets. Understanding the benefits and impacts of different types of food can make you a better eater and control your weight in a healthy way. Interested in more on this topic? Do you remember when you were young? It seemed that you could eat anything and not gain weight. It was almost worth the acne and constant inner angst, wasn’t it? Now that you are (shall we say) more mature, your metabolism has slowed and everything that you eat seems to build up in the most unfortunate places on your body. Is there a way to return to the metabolism of your youth? Your metabolism, the conversion of the food that you eat into the energy that your body needs, does change with age, activity level and diet. Your body produces fat when your energy intake is greater than your energy output and burns fat when your intake is lower than your output. In other words, if you eat more than your work off, you will gain weight. Not exactly rocket science, but millions of dollars are spent every year trying to beat that math, without much success. The odds are not stacked in our favor. After age 25, our metabolism slows down up to 1% per year! Make your body work harder to generate energy. Proteins and complex carbohydrates take more energy to break down than simple carbs. Adjust your diet away from sugary foods and more toward proteins, such as lean meats, and high fiber carbs. Even if you consume an equal number of calories, your body will work harder digesting the food, resulting in less energy that could be turned into fat if not used. Don’t let your body loaf. Digesting food is hard work for your body, so your metabolism ramps up every time you eat. When you skip a meal, your metabolism shifts into low gear. So, eat more often. Small meals spread throughout your day keep your metabolism pumping along. You don’t feel hungry even if you are reducing your total overall calorie intake. Don’t skip breakfast, instead eat breakfast twice! Drink a lot of water, especially ice cold water. Converting fat into energy requires a lot of water, so you don’t want to run dry. And warming cold water to your internal 98.6 degree body temperature takes energy, too, so pile on the ice cubes! Merely drinking water can temporarily boost your metabolism by nearly one third. Start each day right. When you wake up, your metabolism is just idling along. Some exercise and a light meal will kick it into gear, providing benefits that last all day. If you start your day hungry you think about food all day. If you start your day feeling satisfied, that lasts too! Exercise briefly, multiple times a day. Rather than spend 90 minutes in the gym, try to arrange your day so that you can get six 15 minute workouts. The “afterglow” effect, a higher metabolism rate that continues well beyond your exertion, will continue to burn calories while you’re not exercising. Win! Build some muscle. This is not easy, but it pays dividends. Muscle requires more energy to maintain than fat. In fact, studies show that building five pounds of muscle will result in losing 25 pounds of fat in one year. With no dieting! Plus, muscle is more compact than fat, so if you convert a few pounds of fat to muscle, your profile will be much slimmer even though you haven’t lost any weight. So while aging makes our bodies more willing to convert our meals into fat, there are strategies that can shift the balance back toward our earlier years. Eating smart and exercising smart can make a real difference in your shape, without ever using the dreaded word “diet”! Diets are everywhere. Open a magazine or turn on the television and BAM! there's a new diet receiving rave reviews. When will they run out of pictures of skinny people that used to be larger (and very pale, it seems)? Choosing a diet that can work for you is a challenging and confusing task. Here are some things to consider. First, any significant change to your eating and activity levels should be discussed with your doctor. You may discover that some facet of your intended diet will interfere with your medications, or that your prosthetic knee joint will not tolerate monthly 5K runs. A quick visit with the doctor now can head off a much more prolonged interaction with the doctor later! Better safe than sorry. When you’re sure that your body can withstand the new lifestyle, it is time to select the perfect diet. Now the fun (?) begins. Setting aside some of the more outlandish choices (who can really expect to live on nothing but broccoli, anyway?) there are a lot of choices remaining. Consider how your diet will integrate with your lifestyle. If you are preparing meals for a spouse and a gaggle of kids, choosing a diet based on mail order prepared foods may not work for you. If you live alone, that may be a perfect solution. Choosing an all tuna diet with a spouse allergic to seafood could be a deal breaker, but a low carb diet could fit well with your spouse’s Iron Man Marathon aspirations. Also think about the impact on your schedule. Does the diet suggest 6-8 small meals throughout the day? That’s difficult in many office settings but pretty much ideal for a stay at home parent (the kids each constantly anyway). If the diet requires drinking 18 glasses of water a day, do you have ready access to the restroom throughout your work day? Not a great plan for an over the road trucker, for example. How does the intended diet adjust for weekends and parties? Do you have enough flexibility to go out with friends or skip a meal to power through the end of a project? Your life will change with the diet, but it’s important to understand the impacts in advance. Don’t overlook that actual cost of the diet. If you are considering a diet that requires specific prepackaged meals or exotic pills or supplements, the cost of these goodies can really add up. Even buying lean meat and non-fat dairy costs more than your typical hamburger and cottage cheese. Your improved health will save you money over the long term, but the short term budget crunch of a specialty diet should be minimized. Bear in mind that everyone has certain foods that are vital to life. For my, no diet that prohibits chocolate can be considered! Be honest with yourself and visualize your future meals and what you will be giving up. Can you see a life without your precious snack or beverage? Maybe you should look for another diet! What kind of ongoing maintenance will this diet require? Are you signing up for a lifetime of buying your food by mail? Could you deplete the world’s stockpile of cabbage? Most diets have an expectation of maintenance once you’ve reached your goal weight. Otherwise you will be back, choosing a new diet, before you know it. Be sure that you can see yourself living your life with this new menu plan. Going on a diet is quite a commitment, and one that should not be taken lightly. With the right choices, good support from your family and friends, plus lots of will power, a new and healthier you is waiting just around the corner. Good luck! Diets are hard enough. You should not try it alone. Find a friend to buddy with you in this journey. Don’t have a diet buddy? Check out WannaBuddy.com and find a local diet buddy. Together you can do it! Want to Live Longer? Find New Friends! Most people understand that eating well, exercising regularly and not smoking cigarettes can add years to your life. What is less well known is the positive impact that having friends can have on lifespan. Recent research has studied the effect of social interaction on health and lifespan with surprising (and encouraging) results. Modern society is focused on improving the quality and quantity life. There are enormous industries addressing diet and exercise fads of every kind. Without question, eating well, remaining fit and abstaining from dangerous behaviors such as cigarette smoking or excessive alcohol consumption will all support a long, happy life. Obesity and cardiopulmonary diseases are growing threats that deserve everyone’s attention. But now a study has shown that friends can be as important to your life as a low-fat diet or kicking that cigarette addiction. In a research report published in the July 2010 issue of the Public Library of Science (a peer-reviewed journal that does not charge its readers for access) measured the impact of social interaction and mortality. Professors Julianne Holt-Lunstad (Brigham Young University), Timothy B. Smith (Brigham Young University), and J. Bradley Layton (University of North Carolina at Chapel Hill) reviewed the results of 148 medical studies that contained data on mortality and levels of social interaction. They found that people with stronger social relationships had a 50% increased likelihood of survival than those with weaker social relationships. According to their report, the influence of social relationships on the risk of death are on par with such well-known risk factors as smoking and alcohol consumption and exceed the influence of factors like obesity and lack of exercise. So, continue to eat well and exercise regularly, but don’t forget to see your friends! Those moments of camaraderie and fun will pay dividends now and into your golden years. Need a new buddy? Visit WannaBuddy.com and find a local buddy for dieting, exercise, hiking, attending a concert or whatever! It is the healthy thing to do. Think You Are Addicted to Food? You May Be! How often have you heard someone say that they are addicted to food? Certainly, on some level we are all addicted to food. If we don’t eat food we will not last very long, but is that an addiction? Are some people more dependent on food than others? A recent scientific study set out to answer these questions, with interesting results. The results of this study appeared in the April 4, 2011 edition of “Archives of General Psychiatry”. The study compared brain image scans (using functional magnetic resonance imaging) of people who identified themselves as “food addicts” and people who did not feel that they were addicted to food. Comparisons were made to similar brain scans of people who were addicted to drugs or alcohol. For each experimental subject, pictures of milk shakes were displayed. The brains of food addicts displayed the same neural patterns as drug addicts when shown pictures of narcotics. This brain activity is associated with craving sensations. levels of activity in the area of the brain associated with satisfaction, compared to people who did not see themselves as addicted to food. This implies that food addicts crave food more than the general populace, but get less satisfaction out of eating the food, leading to binging and overeating. This difference in brain function may explain why it is so difficult for some people to successfully complete a diet program. With strong cravings and weak satisfaction from eating, a reduced intact diet is directly counter to a food addict’s brain response. Hopefully, further research can find a way to counter this predisposition and make it easier to break this cycle of overindulgence. Are you ready to get back in shape? Don't do it alone! 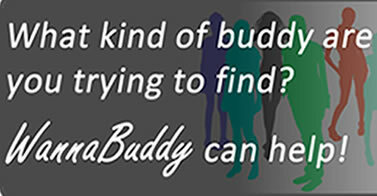 Check out WannaBuddy.com and find a local diet and exercise buddy for mutual support and encouragement.